The San Diego Padres are currently sitting in second place in the NL West with a 6-4 record. The Friars are chasing the first-place Los Angeles Dodgers, who just swept the Rockies and are leading the division with an 8-2 record. 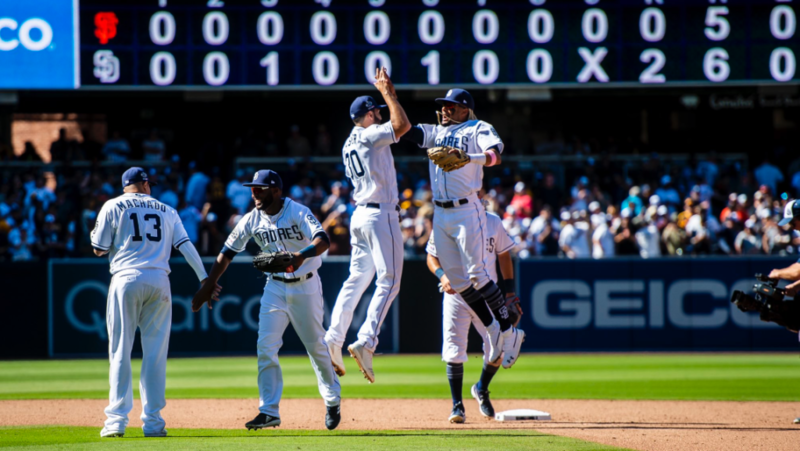 The Padres will have a golden opportunity to gain some ground against their rivals as San Diego visits the last-place San Francisco Giants at Oracle Park for a three-game series. The series is set to run from Monday, April 8 to Wednesday, April 10 as the Friars are the heavy favorites to take the series. Andy Green’s team just won two out of three games against the St. Louis Cardinals, but are coming off an uninspiring 4-1 loss at Busch Stadium. However, the Giants are in much worse form as they have only won one of their last five games. The bay area can be tough to visit, especially Oracle Park given how hard it can be to hit at that stadium. This is worrying considering how inconsistent the Padres’ batters can be, but less worrying when you see San Francisco’s numbers. The most enticing pitching matchup will definitely be on the first day of the series with the Opening Day rematch of Eric Lauer and Madison Bumgarner. Lauer got the best of “Mad Bum” on opening day, but Bumgarner still had an excellent outing as he only allowed two runs through seven innings. Lauer will be looking to bounce back after a rough start against the Arizona Diamondbacks, where opposing pitcher Zack Greinke took him deep. Myers went 6-for-13 in the opening series between both teams at Petco Park and inclusively hit a two-run home run against Madison Bumgarner on Opening Day. It will be interesting to see what the North Carolina native can do as an encore against “Los Gigantes” at Oracle Park. Since the opening series, Machado has now collected his first two home runs as a member of the San Diego Padres. The spotlight is still on Manny in every series and he will be looking to improve from the 1-for-4 performance he had against the Cardinals on Sunday.